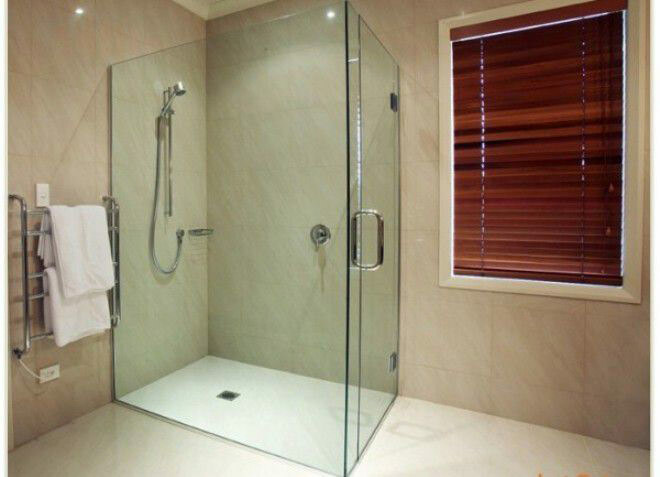 their features, advantages, and disadvantages of Glass curtains, which are equipped with shower cabins and a bath, belong to a special group of products. In addition, there are two more types of products intended for use directly in living quarters. Glass whole curtains. These are glass plates, ideally suited to the size of a particular window opening. They can be of different sizes and are considered frameless constructions since they contain a minimum number of aluminum inserts. Plates are attached to the bearing frames, which are practically invisible. The result is a clean image, widely used on balconies, terraces, directly in the rooms. Products are made of heavy-duty glass, resistant to shocks. There are various options for color solutions and any degree of material density (up to a complete blockage of light). Curtains in the form of beads. 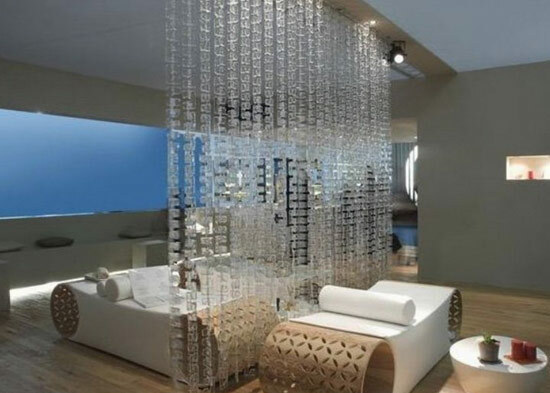 Everyone will agree that elegant curtains made of glass beads can become a real decoration of any interior. Few people think about their functionality - these things are created for beauty. Small or large beads are threaded on very strong threads and fastened to a window or doorway, decorative arch, ceiling. Such products can be created even independently, combining identical or different elements and forming unique images. If there is a choice between cheaper plastic beads and expensive glass beads, it is better to choose the second option or to abandon the idea with a threaded curtain. Plastic, unlike glass, scratches, grows turbid, does not refract light, does not paint the room with magical shades. Glass curtains can be combined with fabric curtains, but you should do it carefully: you can get a mottled and evocative image due to several shades and a combination of drapes with a shiny surface. 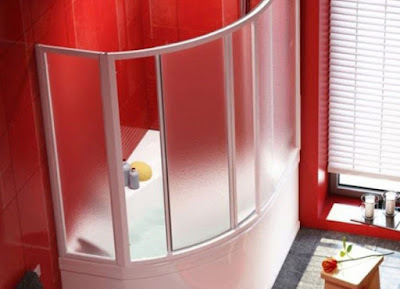 Original designs, regardless of whether they are installed in shower cabins or living rooms, have many positive qualities. Attractive appearance, a lot of options for design and delivery system, a variety of materials. Most glass panels are covered with a special antibacterial composition, which increases the practicality of products and facilitates the care of them. Even when using curtains in a room with high humidity and air temperature (kitchen, loggia, shower cabins, bathroom), the surface of the functional elements is not covered by mold, fungus, rust or salt deposits. A strength of materials allows you not to worry about their integrity and can even protect against an accident. 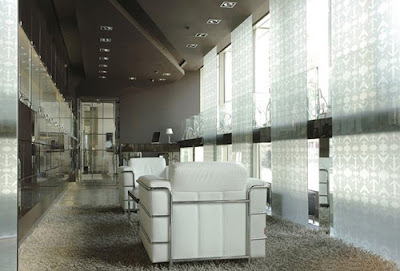 Among the negative moments of the use of structures, it can be noted that glass curtains refer to expensive items of decor when compared with traditional options. Yes, and install similar systems should professionals, independently to cope even with the simplest models is very difficult. 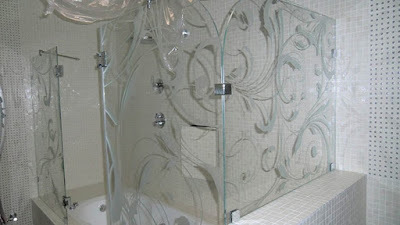 Many are afraid to install glass shower curtains for the bathroom, considering this design potentially life-threatening. 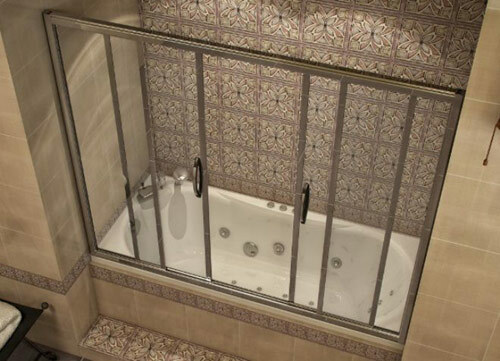 For the production of glass curtains for the bathroom uses a special tempered glass, the strength of which is comparable to the windshield of the car. It easily withstands a long stay in a humid room and a temperature jump resists scratches and bumps. When the safety margin of the glass sheet is exhausted (for example, with a very strong impact), it breaks up into small round pieces that do not harm the skin. 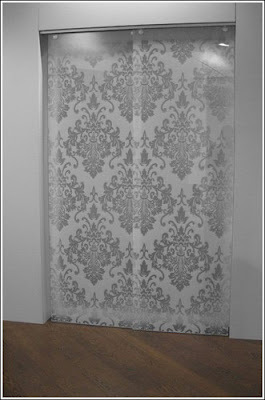 Secure yourself and can with a special protective film, glued to the entire surface of the glass curtain. In the force majeure situation, she reliably will keep the fragments of glass, not allowing them to fly around the room. Glass, as you know, the material is heavy and expensive. Those who want to facilitate the design in both physical and material terms, it is worth paying attention to curtains made of plastic or polycarbonate. In the first months of operation, they externally differ little from glass curtains, but eventually fade and become scratched. In this case, plastic gives more scope for design fantasy, as it can be painted in any of the colors and have any texture. 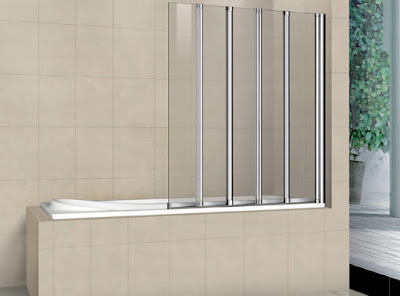 Stationary (panel) - have the form of a fixed glass partition, enclosing the bath or shower. 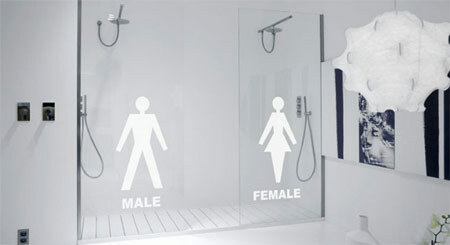 Movable (sliding, folding, swinging) - along with fixed canvases, have their own changing elements, which allows the maximum use of the entire space of the bathroom, while protecting it from splashing water. 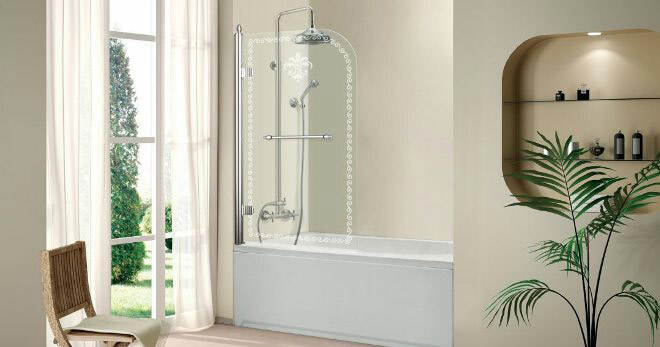 Thanks to a reliable mobile design, glass folding curtains for the bathroom or curtain-accordion give full access to any corner of the room, reliably protecting it from splashes. This is ideal for small toilets. When there is no need for a protective screen, it can easily be folded in one motion and turned to the wall. Such curtains are produced in most cases by wireframe technology, therefore they require careful care - in the places where the glass adheres to the frame, a calcareous deposit is used to accumulate. Shower glass curtains, the doors of which open, like ordinary doors - a phenomenon that rarely occurs, as in small apartments, and in spacious mansions. 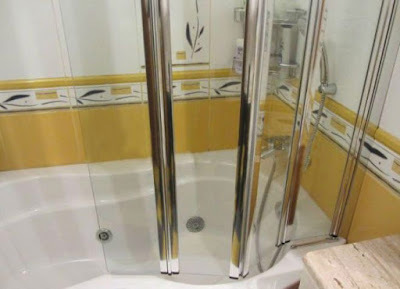 The reason for this is a very irrational use of space: if the doors open outward, a "dead" zone forms around the bath, and if you go inside, you can only get to the far corners of the bath by climbing into it. 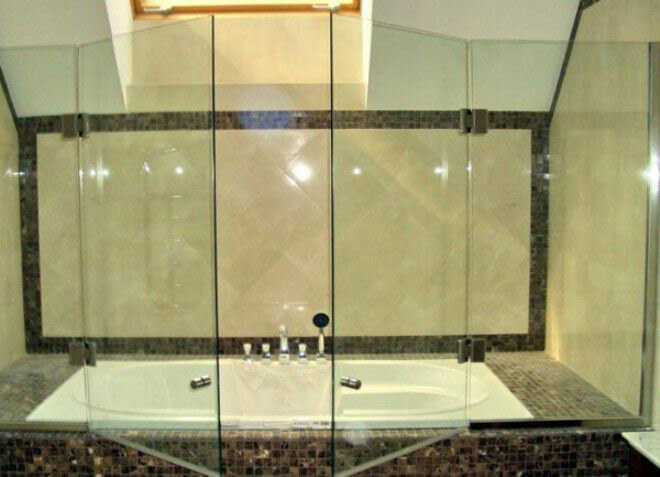 A universal solution for placing any footage and design can be called sliding glass curtains on the bath. They can be manufactured both in a frame and frameless technology. In the latter case, the construction looks visually very light, as if floating in the air. 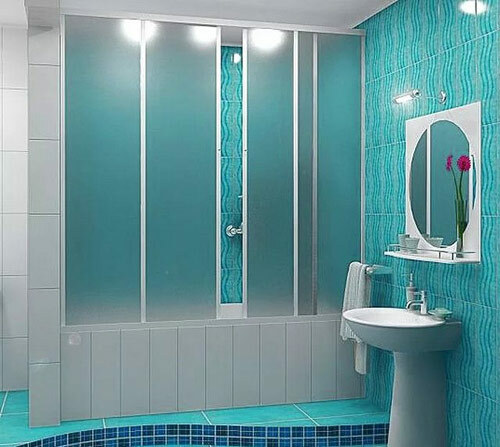 Curtains glass for a shower cabin and a bathroom In addition to protection from water and steam, glass curtains installed in shower cabins or on the edge of the bathtub should create a cozy and aesthetic atmosphere. Therefore, it is necessary to choose the best option for the existing ones. Motionless. The simplest option. 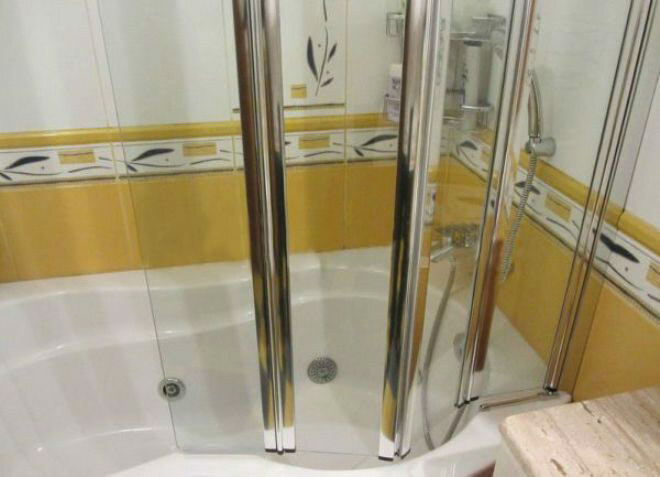 Such curtains are installed only on one part of the bath, forming a kind of shower cabins, only without a door. Installation of the system does not require much time and complex engineering work, there is no need to adjust the panel. For all the simplicity of the solution, it is considered the least convenient. Sweeps. 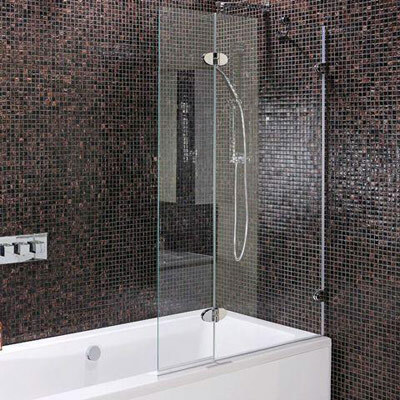 The options can be several - with a partial or full bath coating, one or two doors. Performed on a metal frame or without it. Sliding. Such showers consist of movable panels that move along the guides and provide maximum protection of the room from the water. The presence of a fixed part (or two) is mandatory, for which the panels are turned on when not needed. When choosing matte or tinted glass, it is necessary to take care of additional sources of lighting, otherwise, the room ill a will appear gloomy. 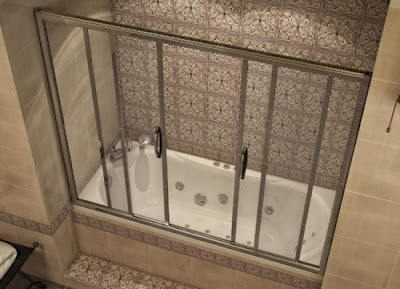 If with the choice of a glass protective curtain for a rectangular bath, as a rule, problems do not arise (all depends only on the budget and aesthetic preferences), then the angular models, due to the design features, require a certain ingenuity. The simplest solution to the problem is a corner bath with glass curtains. In this case, there is no risk of inconsistencies between the elements of the bowl and the protective screen. You can also purchase an accordion curtain, but in this case, you will have to tinker, adjusting the guide for it under the relief of the bath. 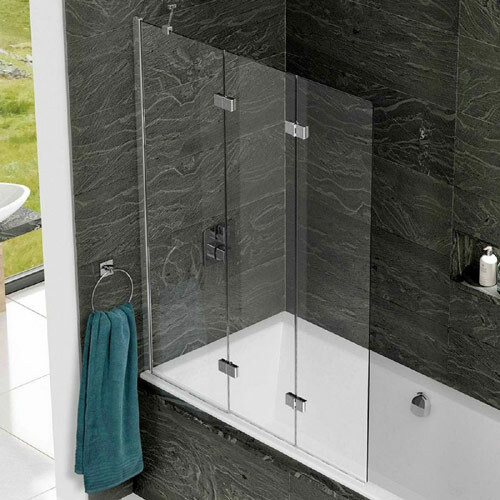 Glass curtains in the shower can have a transparent or matt (partially or completely) surface. The frosted glass not only will not allow splashes of water to scatter around the room, but it will reliably protect the receiving shower from other people's eyes, which is especially important for combined bathrooms. But before you buy and install frosted glass curtains for the bathroom, you need to think about additional lighting, because one light source, even in a small room, will not be enough. Modern hydromassage cabs can be associated with the spaceship - a lot of chrome handles and switches + bulky construction. 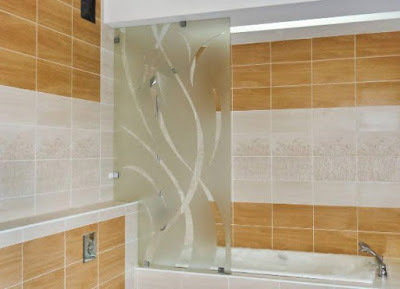 Those who prefer lightness and minimalism will like the glass shower curtains without a pallet. This light frame-free construction fences the bathroom zone, which has been allocated to the shower, reliably preventing water from splashing. Belt mounts are located on the floor and/or the ceiling, and the curtain design can be either sliding or swinging. 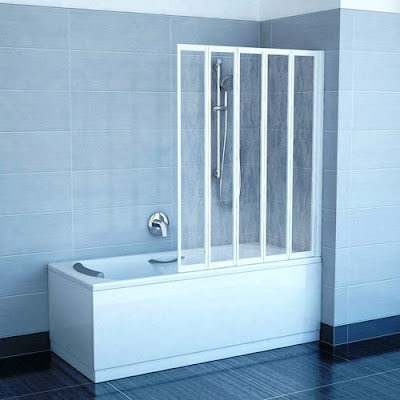 The option of arranging the shower without a pallet, though very effective externally, requires competently executed (and not expensive) plumbing and finishing works. 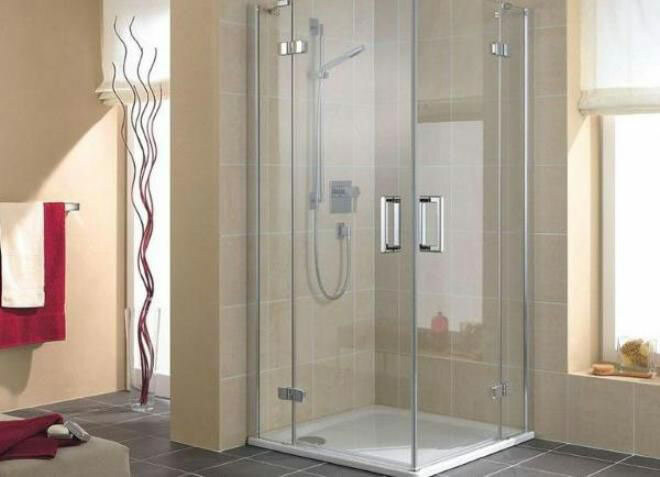 By purchasing glass curtains for a shower enclosure, it is possible to equip a shower corner with minimal costs and minimal risk of undesirable leaks. In this case, the protective clothes are attached to the base tray, which acts as a container for collecting water. Glass curtains, in this case, can be both slidings, so combined, combining stationary and movable elements.